Architect and TV presenter George Clarke knows a thing or two about the quirks of styling period properties. With this in mind, we challenged George to show how to create stunning windows in three distinctively British homes. Wide windows are a sought-after feature for many, who love the open views and sunlight pouring into their home. As with everything, there’s a downside. George’s favourite way to dress a bay window is with shutters. You can adjust the shutters in each panel to change the amount of light coming in and the privacy available. And thanks our Custom Colour option, the choice of colour is yours and you can find the exact shade that goes with your room. George Clarke says the last thing you want when dressing a Crittall window is to hide even a part of the smart, delicate frame. So he went for curtains, which tuck away beside the wall and leave sight lines open all the way through to the frame. Even when fully open, curtains at this full-width window would block part of the view and the light. Instead, George doubled up with blinds. The Acacia Ice Roller blind offers privacy while still letting in a lovely diffuse light and the Tetbury Charcoal Roman blind does the job of curtains, but in more space-efficient way. George believes the best way to get results with wide windows like these is to stick to your goals. Your objectives might be light control, privacy or insulation, such as offered by the Tetbury Charcoal Roman blind. Or maybe, like George, you’re especially taken with the tech in the motorised Acacia Ice Roller blind. 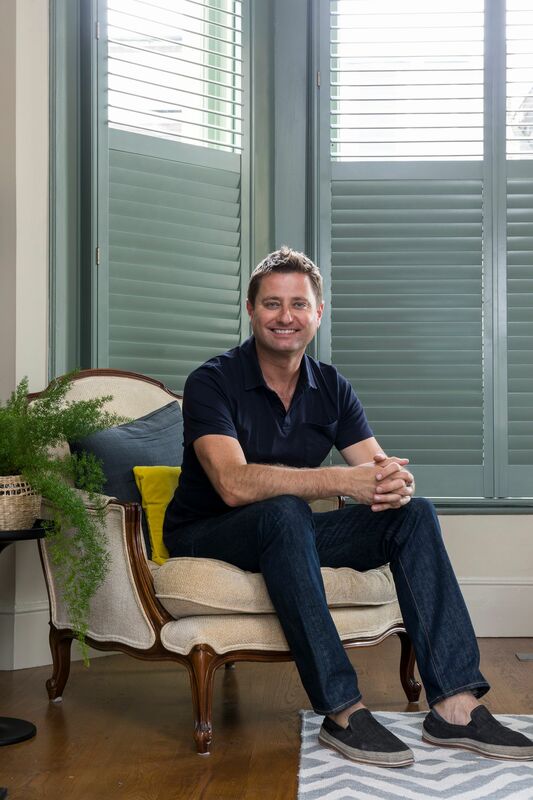 In his own 1960s home, George Clarke enjoys the sense of privacy granted by the Acacia Ice Roller blinds and the way they diffuse sunlight during the day. And at night, he loves closing the Bardot Grey Charcoal curtains to create a more intimate and cosy space. Now you too can have stunning windows in your home, thanks to the tips and advice offered by architect and TV presenter George Clarke. 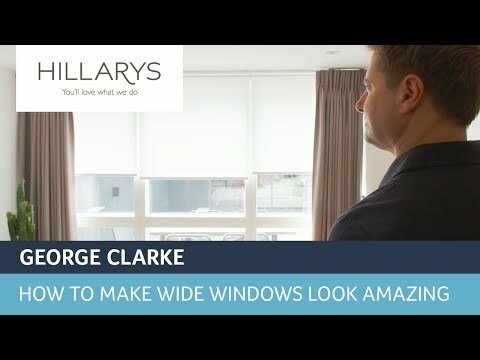 In this series of videos, you can watch George offer solutions to some common issues faced when dressing windows with blinds, curtains and shutters in British homes. You’ll see George show how to dress windows for privacy, how to dress wide windows and how to dress Crittall windows. You’ll also pick up tips that can be used to create Amazing Windows in many more situations. And if you feel inspired by George, then get in touch. You can request an in-home appointment with one of our expert advisors, who will give you practical tips and style advice. Your advisor will also measure up and then return at a later date to fit your choices.